"This work represents a unique consensus from 100 global researchers who all agree that there are some exciting new opportunities to manage phosphorus better"
Research into organic phosphorus is key to ensure future food security and environmental sustainability, according to an international group of scientists led by researchers at the James Hutton Institute, Lancaster University’s Environment Centre and Rothamsted Research in the UK. A non-renewable resource, phosphorus (P) is essential for crop and food production. However, due to inefficient use and limited global reserves, inorganic P fertilisers will become less economically viable and there are concerns about future supplies and the environmental consequences of mismanagement. Without action, this situation could undermine agricultural productivity and sustainability. A large proportion of P is already present in soils in organic forms, which are fundamental for biological and ecosystems functions in the terrestrial environment, as well as cell function, growth and reproduction. 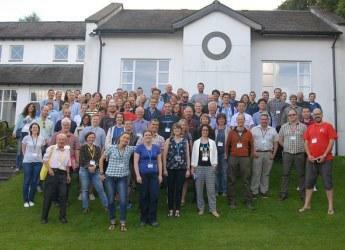 “Organic P research has a critical role to play in tackling a number of important global challenges and there are key contributions to be made toward understanding biogeochemical cycles, dynamics and function of natural ecosystems and the management of agricultural systems,” the group of 102 scientists from 23 countries agreed. Dr Tim George, rhizosphere scientist at the James Hutton Institute and coordinator of the study, said the group identified several research priorities on organic P in the environment. The scientific team also identified a need to engage with society and become more global, collaborative, inclusive and longer-term in nature. “The key to fostering this change will depend on logically communicating the importance of organic P to society at large, engaging with stakeholders on important global issues, and ultimately pushing this important area of research up the agenda of policy makers and funding bodies on a global scale,” Dr George added. The paper “Organic phosphorus in the terrestrial environment: a perspective on the state of the art and future priorities” is published in the latest issue of Plant and Soil, DOI 10.1007/s11104-017-3391-x,and is part of a Special Issue of papers associated with an Organic P workshop held in the Lake District of England in 2016.